In 2008 I blogged about how to add Group Headings into an Interactive Report in Oracle Application Express (APEX 3.x!). The approach I used at that time worked, but it required a lot of manual work. In 2009 Martin D'Souza improved it and wrote a blog post about that. In 2010, when plugins were introduced in APEX 4, Martin wrapped it all in a nice APEX plugin which made adding Column Group Headings almost declarative. The plugin was further improved and put on GitHub. Today, having APEX 5, and the Interactive Reports being changed a lot behind the scenes, the plugin was broken. As we're in the middle of restructuring how to share code, plugins etc., I forked Martin's git repo and made the plugin compatible with APEX 5 and Universal Theme (see version 1.0.4), so when you need it, you can grap it from the forked repo. At a later time the plugin will be moved to OraOpenSource, so depending when you read this post, check out OraOpenSource as Martin, I and many other developers will start putting our open source code on OraOpenSource. Here's a quick how to use the plugin. 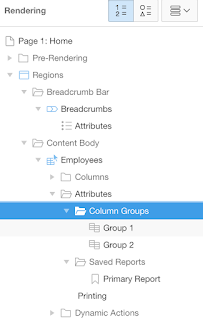 Important: define for every column that has a group defined, a static id equal to the name of the column (e.g. ENAME). That's it... note that when you scroll down and you have sticky headers, the group will stay with it. 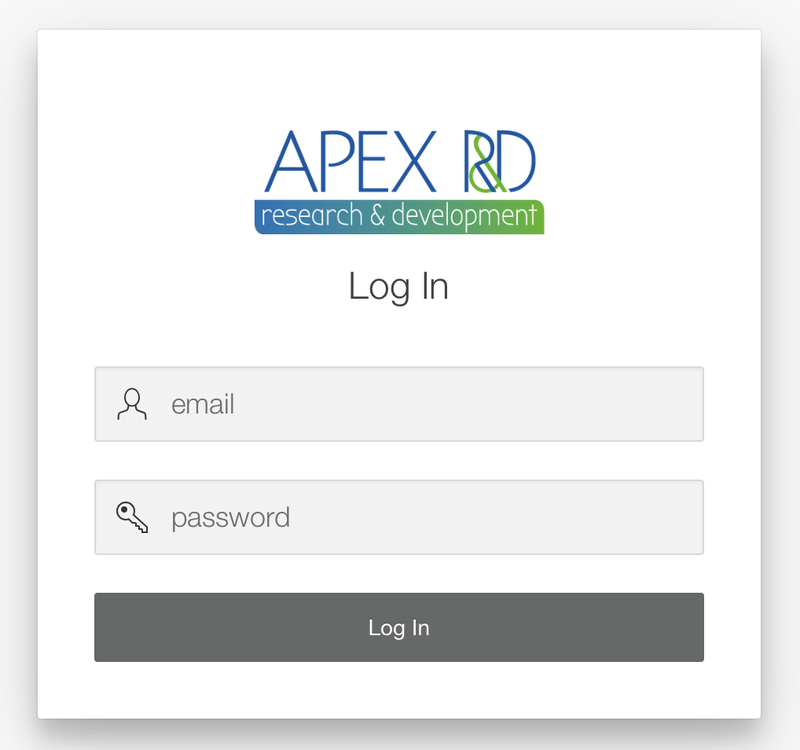 In a comment on my post APEX 5.0: pimping the Login page I got a question how to put your own logo or a custom image on the login page, instead of an icon. You can add the above CSS to your login page - Inline CSS in page attributes or you can add it to your page template or custom CSS in Universal Theme. Again, you can do that with just some CSS. On September 13th I got a nice surprise, an email of Steven Feuerstein with the message: "You have been selected as a finalist in the ORDS category for the 2015 Oracle Database Developer Choice Awards!" To be honest, I wondered why I deserved this nomination, especially in a category that I'm probably less "known" for. After giving this more thought, I remembered ORDS actually started being very much linked to APEX. In the early days ORDS was even being called the "APEX Listener", and I was one of the early adopters and promoters of using the APEX Listener (now ORDS) in your APEX architecture. In 2012 I literally travelled around the world (Belgium, the Netherlands, UK, San Francisco, San Antonio, Uruguay, Brazil, Chile) to talk about why you should move to the APEX Listener. When looking back at that presentation, today it still stand; you still have different options for your APEX architecture, but we don't have to convince anymore about the benefits of choosing for ORDS. ORDS is now main-stream, widely adopted and proven technology. Unless it's a legacy system, I don't really see any reason anymore why you should not use ORDS in your architecture. ORDS evolved a lot over time, and the new name reflects more what the core feature is "Oracle REST Data Services". REST web services became so important in the last years and that is exactly what I've been blogging and talking about lately (see further). In my presentation of Microsoft Sharepoint and Oracle APEX integration (given in San Francisco, BeNeLux and Germany) I talk about the architecture and how you get your APEX data in Microsoft Sharepoint by using ORDS. But also the other way round, by using Sharepoint APIs, REST web services come into play. When you want to integrate with other systems, ORDS can really help. I didn't blog much yet about a really interesting R&D project we've been working on in the last months - using wearables to capture sensor and patient data. At the Oracle Mobile day in the Netherlands I did a presentation which explains it in more detail. We developed native smarth phone applications that call REST web services all build in ORDS. 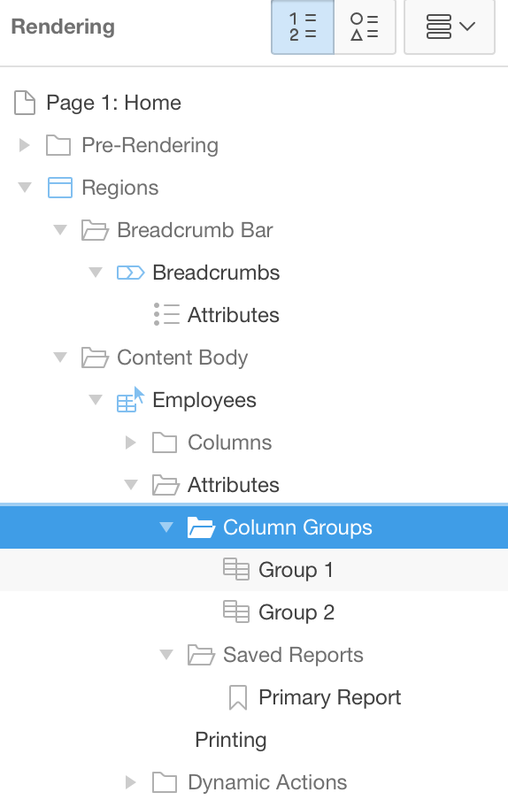 ORDS is getting or pushing the data into our Oracle Database using JSON. Next to that we've dashboards in APEX to "see" and work with the data. We learned and still learn a lot of this project; about the volume of data, the security etc. but without ORDS it would not have been possible. And finally a product where I'm really proud of APEX Office Print (AOP). I found it always a challenge to get documents out of APEX. I'll do some more blog posts about it in the future, but where APEX is so declarative to build your web applications, it's far from declarative to get documents out in Word, Excel, Powerpoint or PDF (at least without BI Publisher). With APEX Office Print we hope to address that. 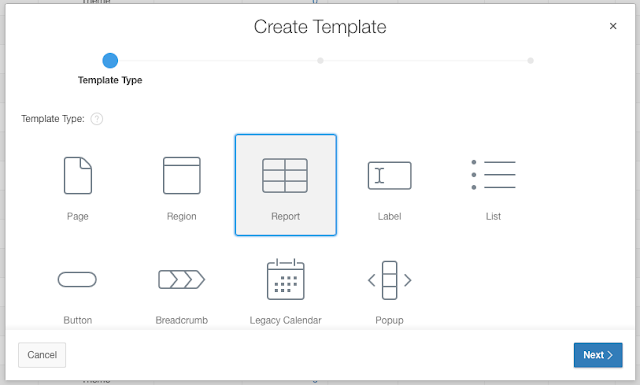 Just one APEX plugin where you define the template and which data you want to use and presto you get your document. Behind the scenes we use JSON and having ORDS makes it really easy to generate it. If you want to know more about the components behind the printing solution (and do it yourself), you'll find that in my presentation about Printing through Node.js which I presented in different countries and will present at Oracle Open World. Furthermore, if you're interested in reading more about JSON, I've done a series of blog posts and was interviewed by Oracle about it, you find the links here. Hopefully by doing this post you see the power of ORDS and you get some ideas yourself how to best leverage the power of this wonderful piece of software. If you liked my "ORDS-efforts" and want to give me an up-vote in the Database Developer Choice Awards, I really appreciate that. 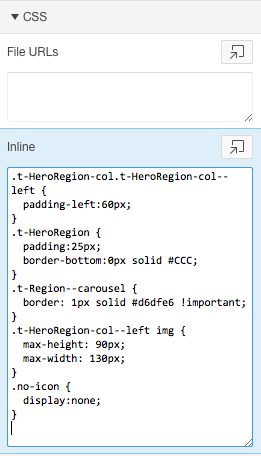 The Universal Theme in APEX 5.0 is full of nice things. Did you already see the Carousel template for Regions? When you add a region to your page with a couple of sub-regions and you give the parent region the "Carousel Container" template it turns the regions into a carousel, so you can flip between regions. I was asked to have the same functionality but than on dynamic content. That's it for the template. 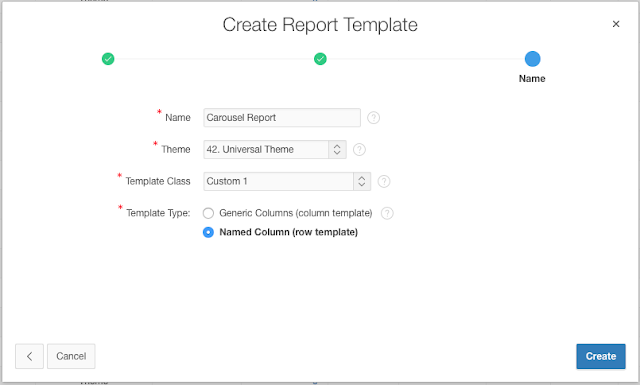 Now you can create a new report on your page and give it the template you just created. Note 1: that you have to use the same column aliases as you defined in the template. To make the carousel a bit nicer I added following CSS to the page, but you could add it to your own CSS file or in the custom css section of Theme Roller. Note: the carousel can work with an icon or an image. If you want to see an icon you can use for example "fa-edit fa-4x". When using an image, define the icon as no-icon.